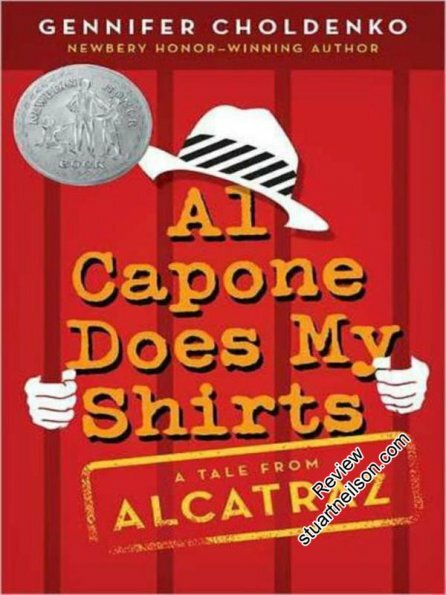 Choldenko, Gennifer - "Al Capone Does My Shirts", "Al Capone Shines My Shoes" and "Al Capone Does My Homework"
Moose Flanagan has the misfortune, for a 12-year-old boy, to live on Alcatraz Island and have a father pre-occupied with prison life and a mother pre-occupied by his autistic sister Natalie. The diagnostic categories of autism did not exist in 1935, but the author's notes make it clear that this is the intended interpretation. Natalie "doesn't count" amongst the twenty-five children on the island and does not take part in their games and subterfuges. Her presence is central to much of the plot, and comes into the foreground on occasion, although the story is very much Moose's. Moose recklessly requests a favour of inmate number 107, Al Capone, that ultimately results in Natalie's acceptance in a special school and leading into the second book in the series. These young adult books have an amazing historical depth, backed up with research into the life of the families of Alcatraz prison guards. These books are a great insight into a remarkable piece of history and Natalie (based on the real-life author's sister) is well-studied and credible.